The criminal record contains information of final conviction decrees and other decrees of civil and administrative matter on a specific person. - civil certificate: it contains decrees related to one person's capability (judicial disqualification, incapacitation, legal disqualification, support administration), decrees related to bankruptcy (which can no longer be stated from 1 January 2008), expulsion decrees and appeals against the latter ones. Currently, the criminal record is issued by any Public Prosecutor's Bureau, regardless place of birth or place of residence of the party concerned. - by the defendant's lawyer. Non-EU citizens, who are not passport holders, may request for release of criminal record, however they need to submit a copy of the residence permit. The criminal record can be used for 6 months after release. ITALIAN CRIMINAL RECORD CHECK: When it's free? - being attached to the application for redress of justice miscarriage (Art. 176 of Implementing Procedures of the Civil Code). 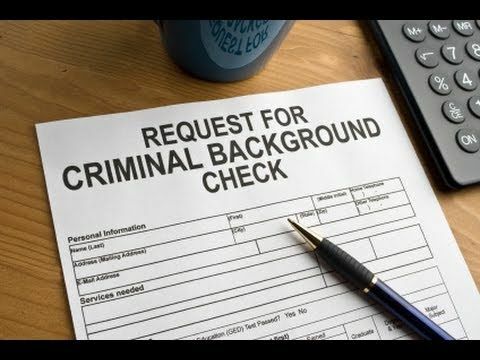 Should one hypothesizes of being suspect of a criminal offence in Italy, it is possible for him/her to submit a request for record of pending trials. The record of pending trials contains information of on-going criminal trials on a particular person and the eventual related judgements of indictment. The record is issued by the Public Prosecutor's Bereau of place of last residence of the party concerned. - by the offended party and witness's lawyer. If otherwise, one is certain of being suspect of a criminal offence in Italy, he/she may submit an application 335 of the Code of Criminal Procedure, following which information concerning the status of criminal proceedings against him/her (number of proceeding, the Public Prosecutor's name and surname, offence for which the Judicial Authority is undertaking procedures in Italy) will be disclosed. The “Visura” allows access to information available without providing reasons of the request, it contains all registrations against the party who requests it, including those which are not stated in the Criminal Record requested by the same party. The visura is not valid as certificate and therefore cannot be exhibited for administrative purposes or work purposes. The visura is not subject to payment of any administrative fee. Do you want to receive advice on Italian criminal record? Please, contact us.